Your favorite (or not) Android company, Google has just announced that a new Android Wear update is now being pushed out to all compatible devices. Android Wear 2.8 brings only a few improvements over the previous iteration, but they're definitely worth the update. Before going into details, it's worth noting that this is an update on the Android Wear app on the smartphone, so it's not the same as the OTA update on smartwatches. Also, keep in mind that the roll-out is going to take a few days to reach all phones. 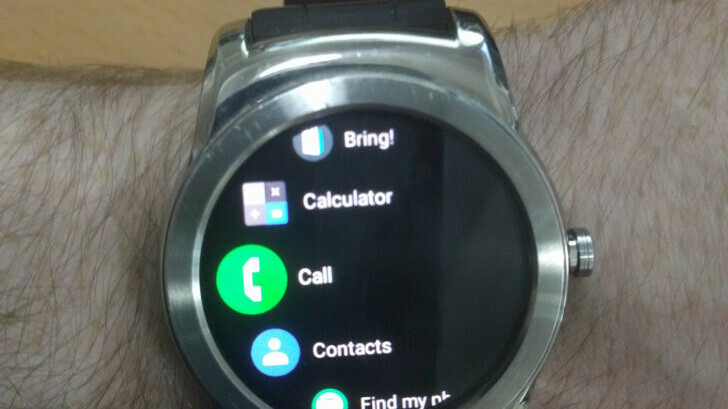 Now, Android Wear 2.8 is supposed to improve notification glanceability with a new layout that shows more of the messages you receive at a glance. Finally, the changelog mentions that Google has made the background darker to allow for better readability. There might be other changes included in the app's update, but these are the only ones confirmed by Google. You can see what the new dark background looks like in the picture above. Haven't received this update yet on my phone, still on 2.7.0.177669439. Verizon Pixel XL(2016) with Moto 360 2nd Gen (42mm). Google likes staggered update rollouts. App update can take up to a week and OS update can take up to 4 weeks.